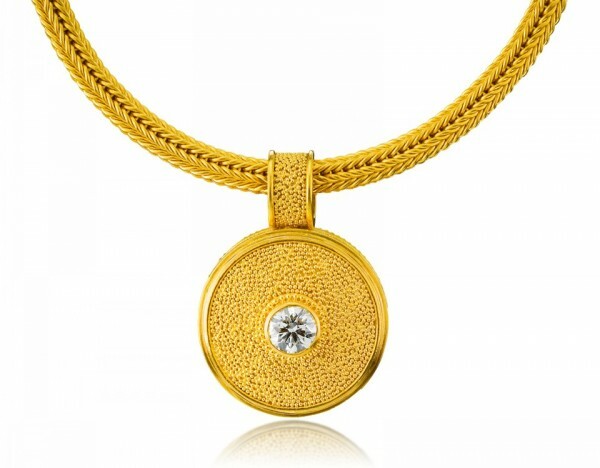 22K gold with .40 ctw diamond. Approximately 1 1/16” high. Shown on a 22K, 3.25mm, Hand-Woven Chain (sold separately).